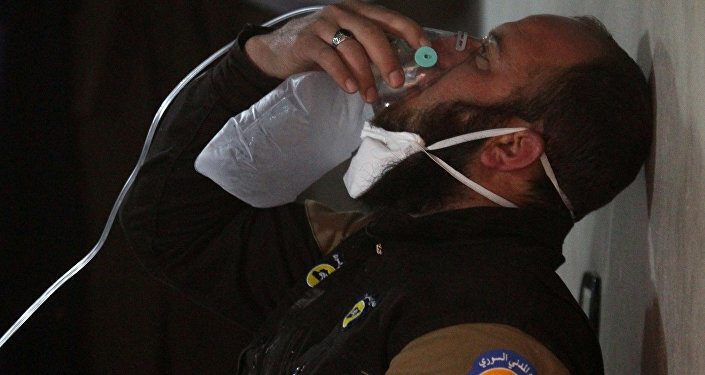 But how much of the evidence of the chemical attack has actually been independently confirmed? My guest today charges that the evidence offered by the US to justify its military response is entirely false. The horrific aftermath of the release of the nerve agent was seen in videos played around the world, and said to have been the impetus for Donald Trump reversing his position on Syria, which he had, for years (and even just days earlier), said we should stay out of. Nonetheless, without debate or Constitutional approval by the US Congress, we launched a military assault on yet another sovereign nation and today the Administration announced a series of tough new sanctions against the regime. 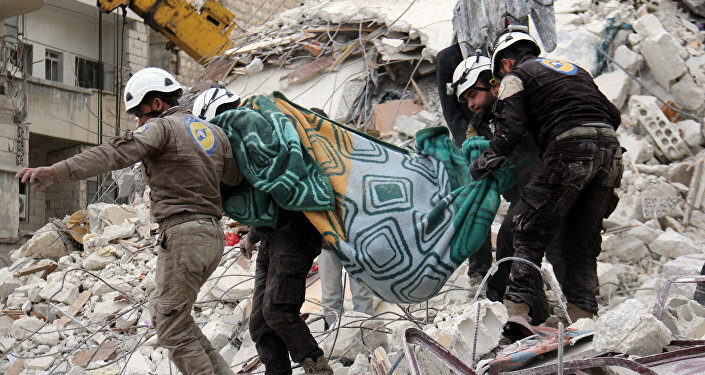 But there has yet to be any findings from an international investigation of the incident, and evidence supporting the allegations that it was Assad, not the rebels or terrorists he is fighting against, responsible for the attack, was laid out only in a brief, April 11 report issued by the White House — notably, not issued by the US Intelligence services. "The report contains absolutely no evidence that this attack was the result of a munition being dropped from an aircraft," as the White House has claimed, Postol finds in his initial analysis (PDF]), based on phographic evidence of the crater said to have been caused when Syria dropped a chemical munition. "In fact, the report contains absolutely no evidence that would indicate who was the perpetrator of this atrocity." Postol is a physicist and rocket trajectory expert who formerly served as a science advisor to the chief of Naval operations at the Pentagon, has been vindicated a number of times over the years concerning similarly skeptical analyses of claims concerning the US military's use of Patriot missile technology in the first Gulf War (see Charlie Pierce's 2005 Boston Globe profile of Postol here), as well as the Obama White House claims about Assad's alleged chemical weapons attack in 2013. He joins me today to explain his analyses and to speak to the remarkable lack of skeptical coverage by the US mainstream media regarding the WHR on the April nerve agent incident. "We again have a situation where the White House has issued an obviously false, misleading and amateurish intelligence report," Postol argues in his first report on the April 4 incident, issued after studying photographic evidence presented by the White House or otherwise publicly available. "What I can say for sure herein is that what the country is now being told by the White House cannot be true (emphasis in original) and the fact that this information has been provided in this format raises the most serious questions about the handling of our national security." Even the New York Times, which, Postol tells me today, used to cover his analyses in detail, have not bothered to contact him this time — even to debunk his claims — for reasons that remain unknown, despite his past track record. In fact, I've been able to find little if any coverage that attempts to debunk his assertions in response to the WHR. "It is very disturbing to see how uncritical the mainstream press has been of this matter," Postol tells me today. "From my point of view, this may be the most serious event — with regard to American democracy — from this whole incident. Because the only way American democracy can function is if the press performs the role of providing accurate information, and also raising questions if those questions deserve to be looked at. And there's no question here that the questions deserved to be looked at." Writing over the weekend, in his 4th report (PDF) on the matter, Postol charged: "Without an independent media providing accurate and unbiased information to the nation's citizens, the government can do what it chooses without being concerned about the reactions of citizens who elected it. The critical function of the mainstream media in the current situation should be to investigate and report the facts that clearly and unambiguously contradict the government's claims on this matter." Though we are hardly "mainstream media", we do our best today to fill a bit of the vacuum left by the woefully credulous US reportage on this event — particularly since it's virtually impossible to know what really went on in the absence of independent investigation — as the US enters yet another war in the Middle East. You can find Thom's previous editions here. And tune in to radio Sputnik three hours a day, five days a week, at 5 pm GMT.